Morgan James Publishing, 9781614485834, 214pp. Lust is fleeting; Love is permanent, and author Sky Blossoms will show you the difference. Recognizing and attracting the love of your life is easier than you think. Sky's sage approach to a sublime partnership is borne of her wealth of experiences and professional studies. 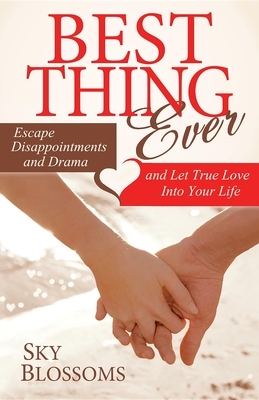 She reveals wisdom that eludes most of us how to build a truly magical life partnership in her transformational self-help guide "Best Thing Ever: Escape Disapointments and Drama and Let True Love Into Your Life." Packed with practical tools that can be applied on a daily basis, inspiring true stories from successful couples, and spirited with humor, "Best Thing Ever" is a pleasant, yet profound read that delivers extraordinary and tangible results. Sky Blossoms carries the heritage of her female ancestors, who were powerful healers. A medical degree combined with more than a decade of studying psychology, human behavior, traditional modalities, and metaphysical approaches lay the solid foundation for Sky s understanding of human relationships. Her knack for knowing exactly what stands in our way of true love is remarkable. Sky s humble beginnings of growing up in Ukraine sparked her drive for extraordinary life experiences and prompted a relentless search for answers. Her personal journey through pain, disappointments, and failures taught her vital lessons and led to the discovery of unsurpassed bliss and fulfillment. Sky s own fairy tale relationship successes inspired her mission to empower others, which she leads with an open heart, compassion, and honesty."